Stop by and visit some of the best restaurants in Gainesville, Fl. With so many things to do in Florida, you will certainly need more than a weekend getaway to Florida. With so many beaches and beautiful cities, your itinerary list is literally endless. Gainesville, Florida is no exception to this list. Here are our hand-picked eats of some of the best restaurants in Gainesville. From Classic American cooking to authentic Cuban recipes, Gainesville has got it all. Tell us what you think about our list of some of the best restaurants in Gainesville, Florida. If you find yourself in the heart of Gainesville, then one of the best restaurants in Gainesville to visit is Paramount Grill. This upscale dining experience is perfect for any memorable event or night out that you want to enjoy with class. You can expect to enjoy a wide selection of in-house made eats (yes the desert too). Founded in August of 2001, by owner Chef Cliff, the vision was easy from the get-go. Clif's mission was to create a dining experience that was absolutely upscale and enjoyable. The "it factor"? He wanted an experience that was just as relaxed. With Paramount Grill, these two themes have come together to create something absolutely beautiful. Indulge in some incredible main dishes including the grilled southwest spiced salmon or the American shrimp and lobster sauté. If you are feeling adventurous, there is even a grilled duck breast that is served with mushroom ravioli, broccoli, and marsala wine sauce. Not a meat lover? No problem. Paramount grill is home to some of the tastiest vegetarian stirfry curry tofu. Whatever your party is in the mood for, there is something tasty and accommodating for everyone. If this sounds like the atmosphere to you, but are looking to come out with a large group of people, then no worries. Paramount Grill can accommodate large parties for all your dining needs. From company parties to family to graduations, Paramount Grill does it all. The next time you have a romantic evening in mind, be sure to come out to Paramount Grill. Enjoy a relaxing evening and indulge some of the tastiest food in one of the best restaurants in Gainesville. Are you looking for some great steak,? Then Mark's Prime Steakhouse and Seafood is the place to go. This is one of the best restaurants in Gainesville and it is no wonder why. The motto of this yummy eatery is "steaks with passion" and we can see why. Their menu options are carefully crafted with everything that you can expect from a steakhouse. Take your pick of a range of steak options. Go with the petite filet if you’re looking for something lean and savory. Bone in ribeye is another fabulous choice of a tasty main entree. If you want a little more seafood to your steak, then you will want to opt for the surf and turf. The surf and turf is a petite filet served with a poached lobster tail is perfect for anyone who is looking for a great dining experience. There is also a range of seafood for you to indulge in as well. Some of the top favorites include lobster fettuccine, wood grilled salmon, and cold water lobster tails. If you like your seafood fresh, then you will be happy to know that the fresh catch is always available to you too. This is a specially prepared market fresh fish that is prepared fresh daily. Now, you would never go to a steakhouse for anything other than steak, but if for whatever reason steak is not up your alley, then be sure to enjoy some spinach asiago chicken instead. For a classic entree, you can even take a bite of Mark's ultimate burger as well. Whatever entree you choose, be sure to leave some room for dessert. We recommend sampling the chocolate paradise. This is a creamy chocolate mousse with Oreo crust that is finished with a hazelnut cream, raspberry purée, and toasted almonds. If you want to make a moment memorable, there is also private dining available at Mark's Prime Steakhouse and Seafood. Not only can you drive privately with 12 to 50 of your closest friends and family, but you can put on a show and get some work done too. Whether it be a business meeting or other laid-back social gathering, Mark's private dining is up for the challenge. The primary room or private dining room is equipped to handle all your audio and visual needs. Dine in style all while getting business done with the private dining options available at Mark's Prime Steakhouse and Seafood. Any pizza lover is sure to enjoy this next pizza joint. Satchel's Pizza is easily one of the best restaurants in Gainesville. Florida. It is not just the food that makes this one of the most standout restaurants in Gainesville. But the dining experience is one that starts before you even get to the door. The mission behind Satchel’s Pizza is to invigorate all the senses. Once you first arrive at the pizza shop, you will be greeted by a beautiful array of stain glassed windows. This unique look adds to the vibrancy and beauty of the shop. Diners will quickly see what Satchel's means when they say that they want to entice all your senses. If you thought the stained glassed windows were beautiful, wait until you snag a peek at the pizzas. Their pizza pies are simply stunning. The range of colors that come from all the delectable toppings makes each pizza a literal work of art. Satchel’s Pizza not only serves in house, but they do catering as well. Book them for any event or party you have going on, and they are sure not to disappoint. Finally, what we love about Satchel’s Pizza is the fact that they are so committed and dedicated to their community. Satchel’s Pizza offers an array of grants that can be claimed by any non-profit of the community. 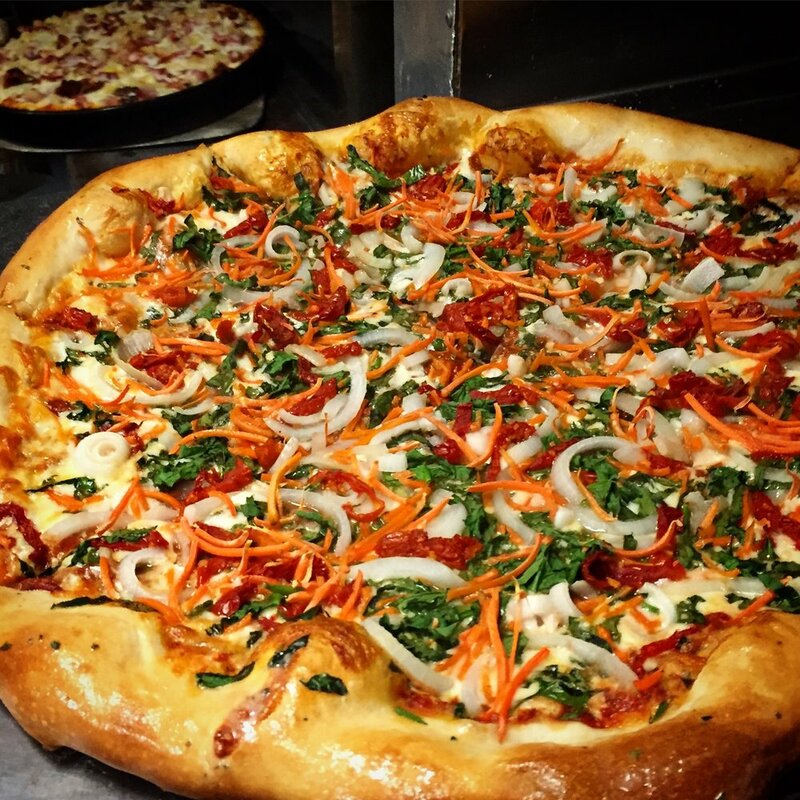 When you dine at Sachel’s Pizza, you will not only be enjoying some incredibly delicious pizza, but you will be helping them in their mission of giving back. Know that you will be giving back to the community and contributing to the success of nonprofit organizations that will benefit the greater good. Another great pizzeria that we love is Piesanos Stone Fired Pizza Pints and Pies. Take your traditional pizza parlor and throw in a generous dollop of class, and you have got yourself Piesanos. This is one of the best restaurants in Gainesville that you certainly cannot miss out on. When you dine at Piesanos, you come here for an authentic Italian experience. While you are here, you absolutely have to try out some of their gourmet specialty pizzas. For a great taste of Italian flavor, we recommend the Chicken Pesto pizza. There is also the Italian Veggie, Greek Veggie, and American Veggie if you want to enjoy a great pizza pie without the meat. For a little more flavor, consider the tasty Hawaiin pizza pie or the Spicy Italian Comb. With over 20 specialty gourmet pizzas to choose from, you will certainly find a flavor for everyone in your dinner party. 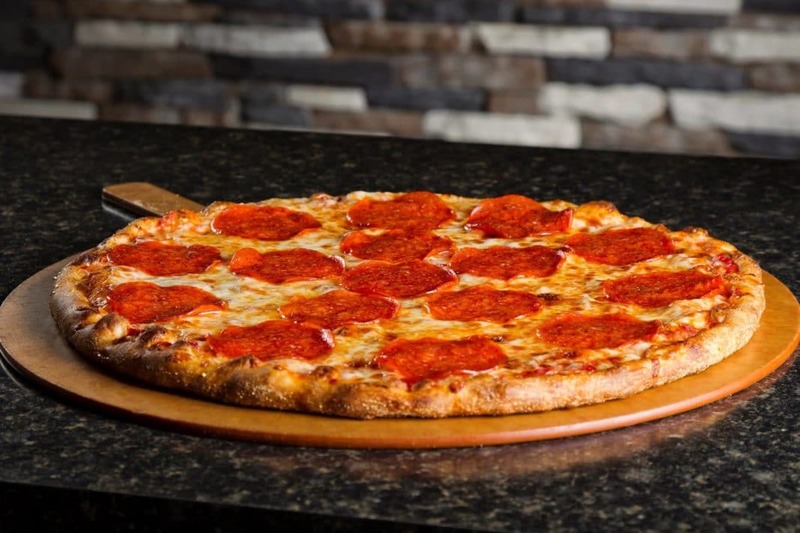 What we love about Piesanos is, of course, their specialty in pizza, but they offer so much more as well. Come out and savor a taste of their other dishes. Sample some appetizers including Calamari and Mussels and you will not be disappointed. And of course, it is a must that you try some of their stone baked goods as well as their tasty soups and salads. Did we mention that Piesanos also offers a variety of gluten free meals too? For more of their amazing recipes that their menu has to offer, click here. We love that Piesanos offers so much in terms of tasty stone baked goods. If you have a large dinner party coming up, you will be pleased to know that they offer catering as well. This traditional eatery knows how to mix the right amount of farm-fresh ingredients to create something delectable. This beautiful mix is what contributes to some of the tastiest pizza pies that Florida has to offer. Without a doubt, Piesanos is one of the best restaurants in Gainesville that should certainly not be ignored. You simply cannot visit Florida without making your way to one of the tastiest seafood places the city of Gainsville has to offer. Bonefish Grill offers a range of seafood options that make it easily one of the best restaurants in Gainesville. What makes this restaurant one of the best restaurants in Gainesville is, of course, their menu. Enjoy a range of delicious meals no matter what time you dine. Speaking of menus, we love that the Bonefish Grill offers a brunch menu. You can find some tasty treats on the brunch menu. One such tasty meal is the Oscar Omelet. The Oscar Omelet comes complete with asparagus, crab (yum! ), smoked mozzarella, basil, and lemon butter. Not only that, but you can also take your pick of one of the tastiest omelets, the California Omelet too. The California Omelet consists of Eggs toppled with applewood bacon, cheddar, caramelized onions, tomatoes, and avocados. These tasty ingredients make for the perfect way to start your day off right. Our favorite on the brunch menu, of course, has to be the Creme Brulee French Toast. Served with fresh whipped cream, mint, and fresh seasonal berries, it does not get any better than that. When it comes to the dinner menu, there are so many places to start. Enjoy a range of delectable fish including Ahi Tuna Steak, Rainbow Trout, and of course, Atlantic Salmon. Just grazing over the menu will give your taste buds a run for their money. Without a doubt, Bonefish Grill is easily one of the best restaurants in Gainesville. The mouthwatering menu has something to offer everyone. And the cherry on top? Come in on your fourth visit and enjoy a whopping 50% off discount. 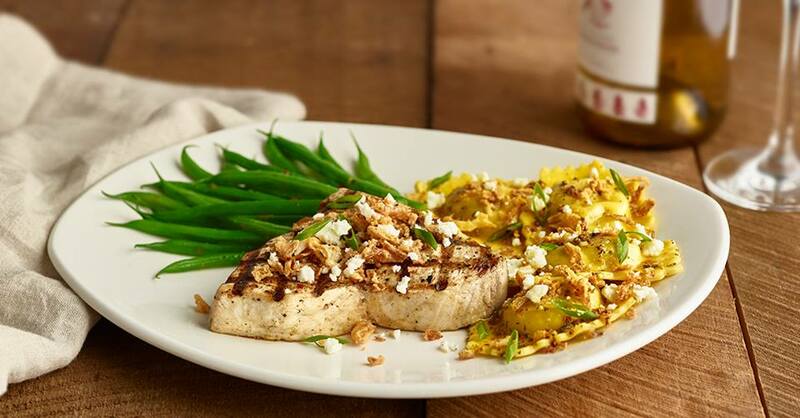 With great flavor and even greater company, Bonefish Grill is a place that should certainly not be ignored. Feel like a local when you dine at Metro Diner. This retro diner is anything but. Serving up some of the tastiest meals, you are sure to find something you love at one of the best restaurants in Gainesville. You can come in anytime during breakfast, lunch, or dinner, and you are sure to be pleased. For starters, Their breakfast menu offers a range of delectable meals. Once such a meal is their ever popular dish of famous eggs benedict. Served with a fresh slice of avocado, tomato, and served with a side of hash browns, you cannot go wrong. Other breakfast meals we love are the famous chicken and waffles. 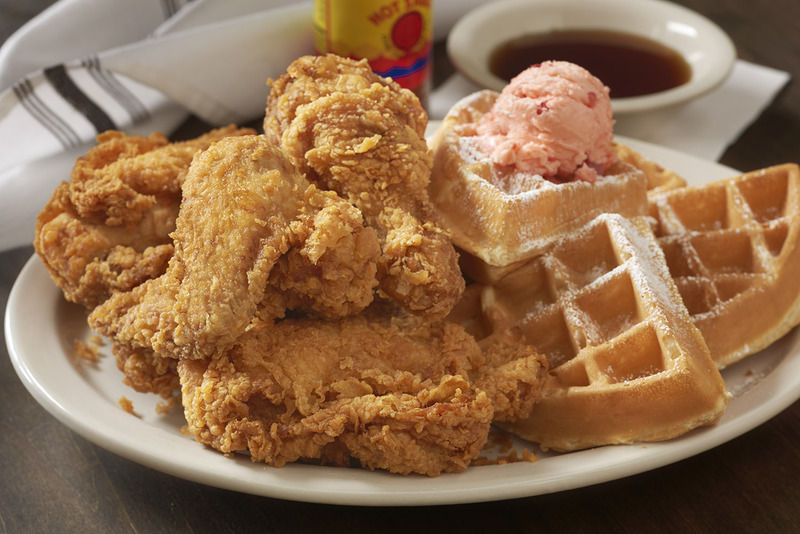 This tasty meal is served with Belgian waffles that are topped with a sweet strawberry butter for a refreshing taste. It also comes with a yummy sweet and spicy sauce that will have you coming back for more. Come in during lunchtime and sample some of their tasty entrees. One such entree that we love is the Huevos Rancheros. Enjoy your choice of eggs served with chorizo sausage, black beans, melted cheese, salsa, sour cream, jalapenos, and green onions all toppled over crunchy fried tortillas. With award-winning meals for any time of the day, you are sure to find something you love here at Metro Diner. There is no wonder why Metro Diner has repeatedly been recognized as one of the best restaurants in Gainsville. In fact, this popular restaurant has been featured on the equally popular television show Diners, Drive-ins, and Dives with host Mark Davoli. For a great place to eat that has so much authenticity and flair to dish out, you need to be here. Metro Diner is an easy place to pick if you are looking for some great food in a great atmosphere. If you are a sushi lover, then Dragonfly Sushi is one of the best restaurants in Gainesville that you may want to check out. Dragonfly Sushi is not your standard sushi place. If you are looking to take your date out for a romantic and enjoyable experience, then be sure to book your reservation here. Everything about this restaurant is exceptional. From its location to its atmosphere to its menu. Start off your lunch experience here by ordering the seasonal lunch teishoku set. The sets (or combos) come with a soup, salad, and rice. Take your pick from delectable meals such as the grilled chicken that comes with a thigh glaze with tare. If you are looking for a little more iron with your protein, you may want to opt for the karaage chicken that is served with spinach and miso vinaigrette. When dinner rolls around, there is another batch of tasty meals to keep your stomach growling. Some of our favorites include the Hamachi taco bites. These taco bites come with a yuzu vinaigrette, yuzu sour cream, hackleback caviar, scallion, crispy potatoes, and finely chopped cilantro. 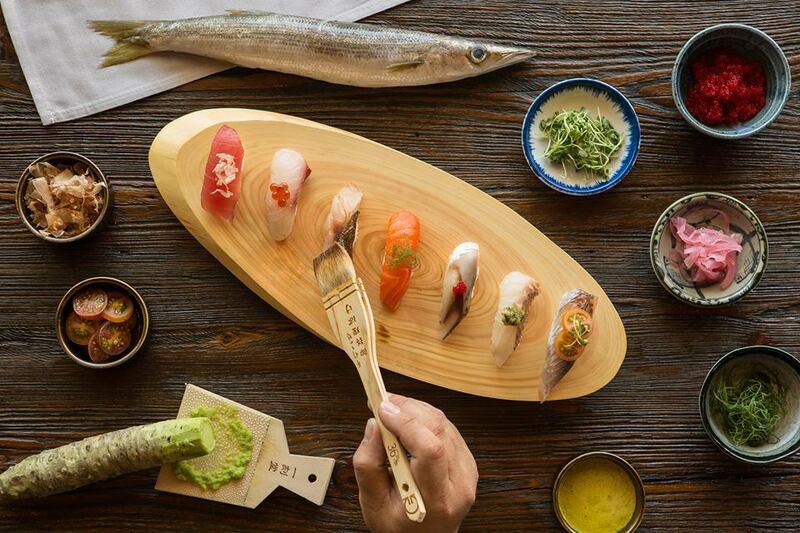 Finally, their sushi a la carte menu is perfect for any sushi lover. Take your pick of sashimi (no rice), nigiri (with rice) or hosomaki (roll cut into six pieces with seaweed on the outside). Match your choice of sushi with delectable flavors including smoked sake, spicy sazae, and spicy maguro (just to name a few). Dragonfly Sushi has such an eclectic mix of delectable flavors on their menu. One does not simply come to eat at Dragonfly Sushi. Diners come here for an exquisite experience that is as memorable as it is unique. If you are looking for a great romantic date night experience, then this may be one of the best restaurants in Gainesville that you have to visit. If you are in Florida, then you have to get a taste of the prevalent Cuban culture that exists. One of the best ways to do this is sampling some authentic Cuban cuisine at one of the best restaurants in Gainesville. That restaurant is Mi Apa Latin Cafe. Mi Apa Latin Cafe's mission is simple. Their goal is to serve up traditional Cuban food using nothing be the best and freshest ingredients available. Mi Apa Latin Cafe has a zest for authentic Cuban cuisine. This authenticity is clearly visible in their menu. Stop by to try out some of the best Cuban sandwiches Gainesville has to offer. Some of their popular sandwiches include Pan Con Lechon and their classic Cubano. Their Pan Con Lechon is a savory shredded pork that is marinated in Cuban sauce and served in a pressed Cuban bread. Their classic Cubano is a tasty mix of ham, roasted pork, swiss cheese and also pressed in a delectable Cuban bread. Get a taste of authentic Cuban cooking as every sandwich is served with some tasty plantain chips - a Cuban classic. When it comes to your main meal, be sure to save some room. Sample some tasty entrees like Ropa Vieja and Arroz Con Pollo. The Arroz Con Pollo is a simple rice with chicken that is packed with flavors that are anything but. If all the meat is not really doing it for you, then you will be pleased to know that there are also vegetarian dishes for you to choose from as well. Finally, we love that alongside their tasty meals, there are even more delicious beverages to go along with them. Indulge in some yummy authentic Cuban coffee that is authentically sourced. 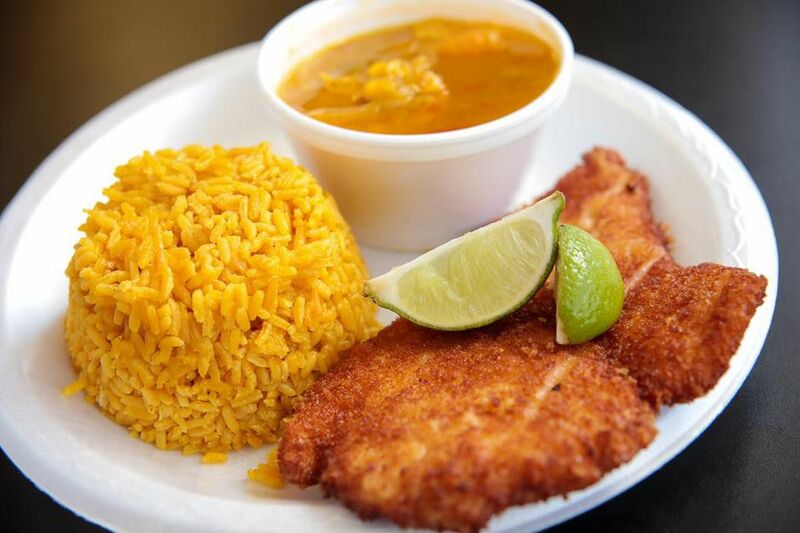 When it comes to authentic Cuban cooking, you cannot go wrong with Mi Apa Latin Cafe. One thing that we absolutely love about this great restaurant is the fact that their mission also includes accessibility to tasty food. The prices on their menu are more than reasonable, so feel free to bring out the whole family. For great food at an even better price, this is the place you will want to come to. It is no question that Florida has so much to offer. You will need more than just a couple of days to experience this beautiful sunshine state. When it comes to the food, there are no exceptions. Be sure to check out some of the best restaurants in Gainesville the next time you find yourself staying in Florida. From authentic cooking to cultural Cuban cooking, there is something for everyone in this eccentric and vibrant town.